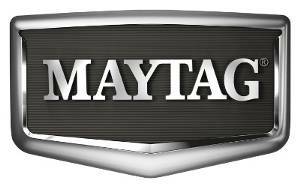 Call us today for all Maytag appliance repair in Scottsdale and surrounding communities. We fix every type of Maytag major appliance as well as those from all the leading brands – GE, KitchenAid, Kenmore, LG, Samsung, Whirlpool, Jenn-Air, Frigidaire, Asko, Bosch, Viking, Wolf, Sub-Zero, etc. Maytag makes a very impressive lineup of major appliances. They have a good service record and sport styling and design that make them an asset in any home. When your Maytag appliances need to be fixed, make us your first call and we won’t let you down! We’ll have your Maytag refrigerator, washer, dryer or other appliance back in service quickly. Our professional repair technicians have the best training in the industry, and with years of experience, they get the job done right the first time. Give us a call today and we’ll come running with the best appliance repair service in Scottsdale, Glendale, Fountain Hills, Tempe, and all of Pinal and Maricopa Counties. We fix all models of Maytag refrigerators. Anything that can go wrong, we can repair including the ice maker, water dispenser, thermostat, refrigeration system, sensors and more. We’ll make your Scottsdale refrigerator repair a priority so that you don’t run the risk of losing your fresh and frozen food. When your range or stove is out of commission, getting meals on the table becomes a hassle or you face the expense of eating out. Call us and we’ll respond promptly to your service request! No one enjoys doing the dishes by hand, and we’ll fix your broken dishwasher ASAP. Call us today before those pots and pans start piling up! We make cleaning up in the kitchen easier with repair of these essential kitchen products. Whether you’ve got a traditional washer or a frontloading machine, we can fix it for you quickly and affordably. We repair all models of Maytag dryer including newer high-heat sanitizing models. Don’t let the laundry pile up. Call today and we’ll be on the way with dependable service. We treat every call like it’s the most important one of the week. We’ll respond quickly to every Scottsdale appliance repair request and those from Fountain Hills, Glendale, Phoenix, and other nearby cities. Our goal is to get your appliance back in service quickly and at an affordable price. Call today and we’ll come running with the best appliance repair in Scottsdale, AZ and surrounding areas.